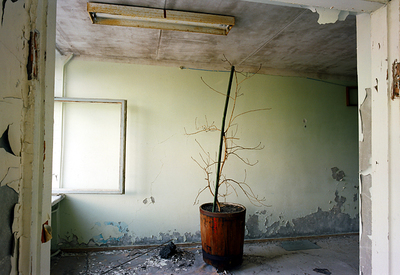 Darwell's image from his series 'Legacy: Inside the Chernobyl Exclusion Zone' was used as a double page spread within a short story by Douglas Coupland on the end of the world wherein he imagines a world where humanity has disappeared but the technology keeps running towards an inevitable conclusion. 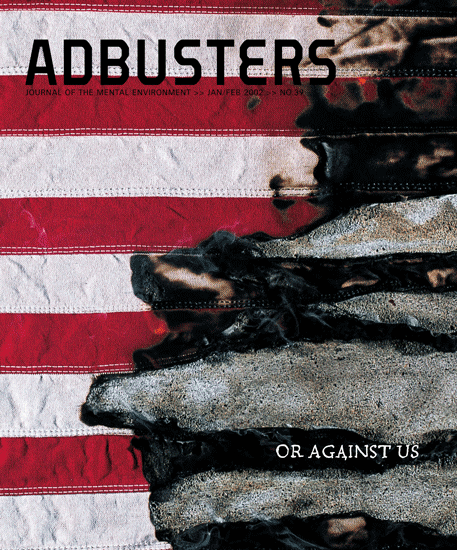 Issue abstract: One of Adbusters’ classic issues, You’re Either With Us or Against Us explores the climate of fear, racism and intolerance that overwhelmed America in the aftermath of the 9/11 terrorist attacks. The issue focuses on the ways in which the language of freedom became America’s greatest marketing pitch. It provides a fascinating look at how advertisers exploited, and ultimately shaped, America’s idea of national identity. “Either you are with us or you are with the terrorists” - George W. Bush. Featuring [...] Douglas Coupland on the end of the world.